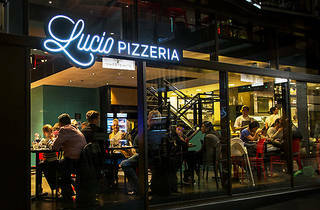 The pies at Lucio Pizzeria in Darlinghurst are frequently referred to (often by us) as some of Sydney’s best pizze. 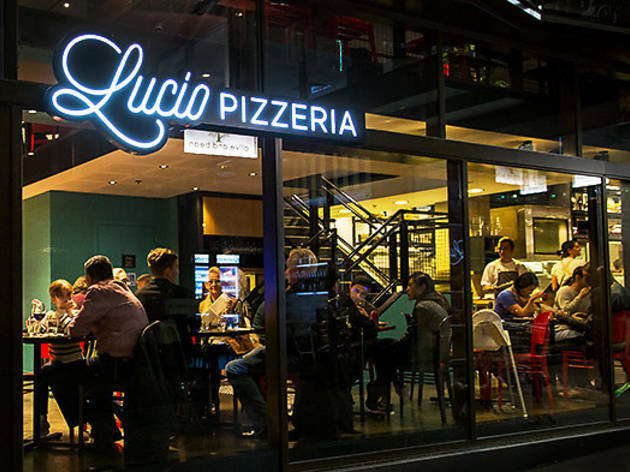 So when Lucio opened a new venue in the East Village complex of Zetland, we were keen to see if they could transfer those skills across town, let alone make the grade? They're trying to serve a big community here. 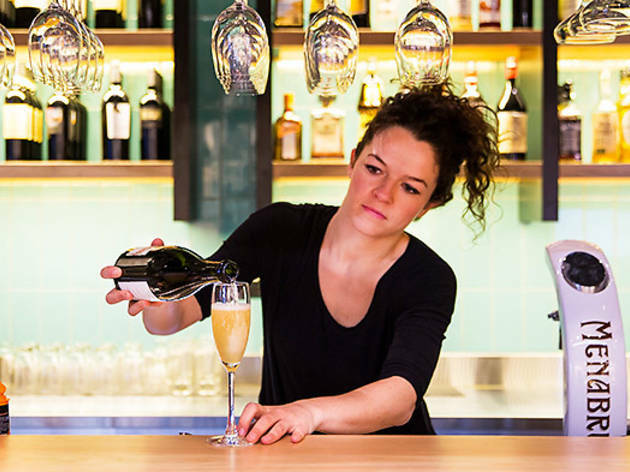 Along with a broad range of pastas, salads and pizze, the restaurant also boasts a mozzarella bar to meet all of your briny cheese needs. It’s something we never knew we wanted, but we're certainly happy to have it. 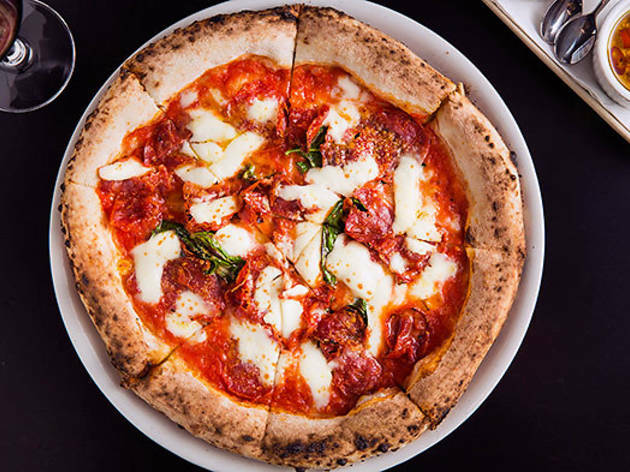 There are no less than four mozzarellas to choose from, but (hot tip!) 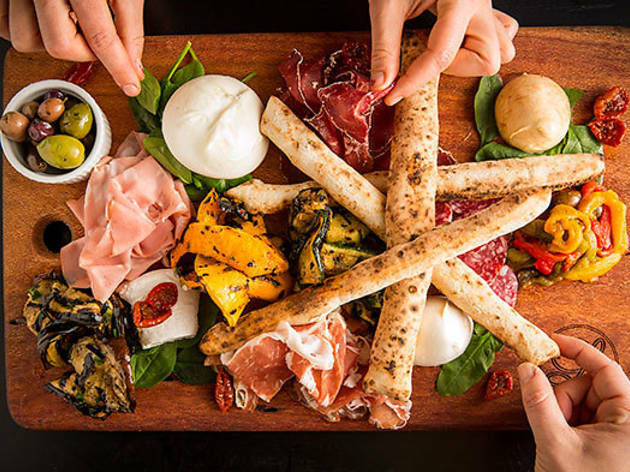 if you order the Il Gran Tagliere share plate, you’ll get three – it’s the cheapest way to get a little taste of everything, and perfect for groups. 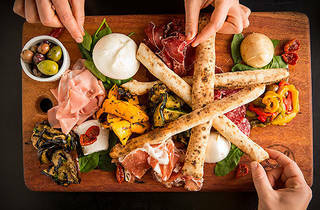 It’s a chef’s selection of mozzarella, salumi, grilled veggies and warm, soft grissini. On our visit, the board holds long, thin waves of prosciutto crudo di Parma; fine, fatty tendrils of speck affumicato; brawny slices of bresaola and creamy curls of pale mortadella. Cuts of zucchini and capsicum and a selection of mozzarellas round things out – there's a simple, milky bufala classica; a smoked, yellowed bufala affumicata and our pick: a seriously creamy burrata that explodes as soon as we cut into it. There’s even crumbly ricotta di bufala on there, and when we ask for a little n'duja Calabrese, they pop it on free of charge. Not a bad way to start things off. 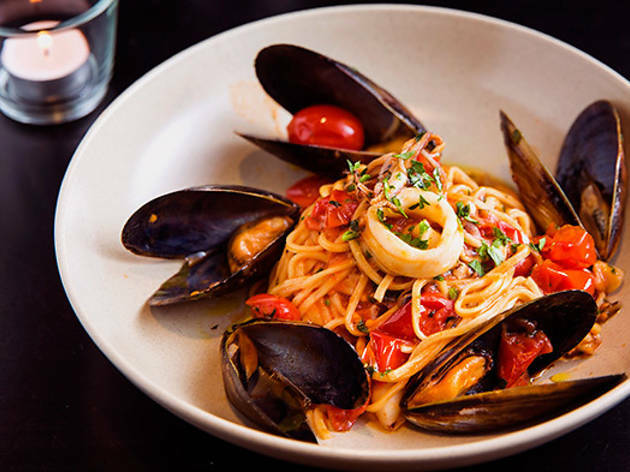 Not all of the pasta is made in house, so we make sure to go for one of the three that is: the spaghetti di mare. (Doesn't hurt that it comes with a vigorous recommendation from our waiter.) 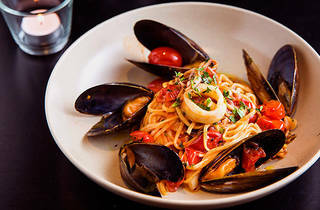 The pasta is tossed with mussels, squid rings and lightly warmed cherry tomatoes, but it's a bit of a disappointment. The spaghetti is soft and overcooked rather than al dente, and the squid verges on rubbery. The pizza brings us back. 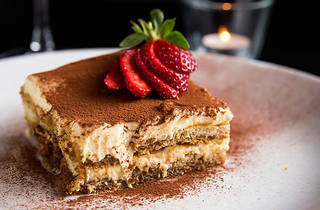 Order the diavola. 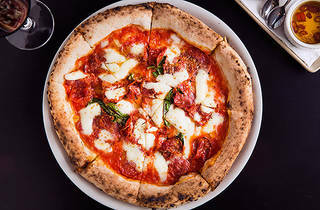 The sweet, grassy scent of basil wafts off the top, and the salami is salty, fatty and properly spiced. The crust has that wonderful textural combination of charred, soft and scrunchy between thumb and finger. 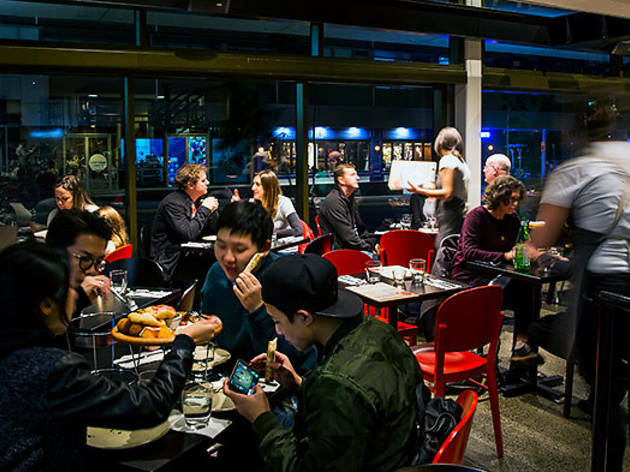 It's a solid, well-made pizza pie – far better than you might expect when you're eating in what is essentially an overglorified shopping centre. 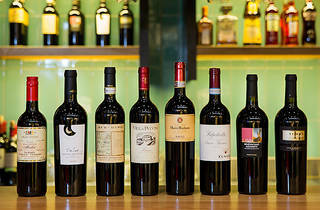 The wine list is affordable, if not an envelope pusher. 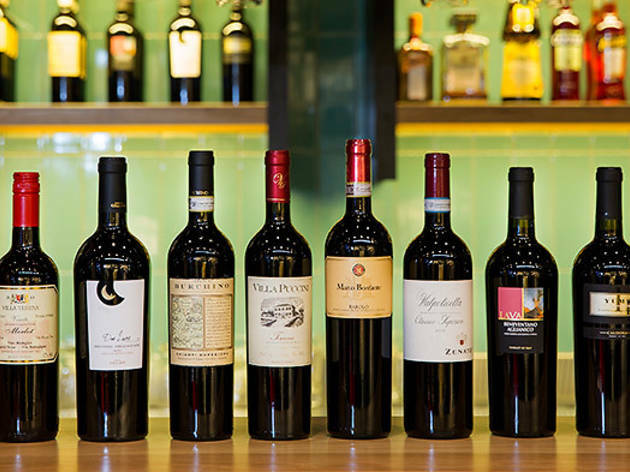 A glass of the 2011 Zenato Valpolicella Classico red should see you right – it’s light and fruity, with a backbone of punchy tannins. 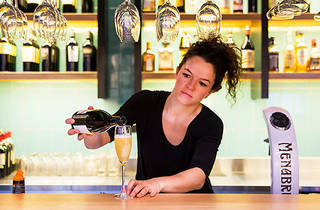 If all else fails, there are always Bellinis. 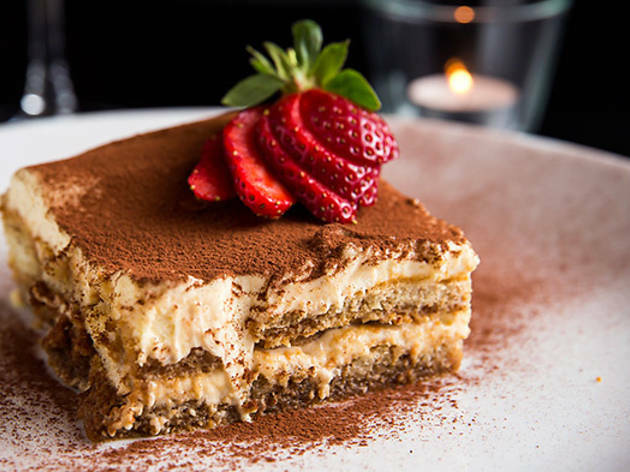 End your evening by pairing one with a pick-me-up wedge of tiramisu – here it's generous with the mascarpone, rich and creamy, and not dried out by too many savoiardi biscuits. So here Lucio sits on his new perch in the flat, apartment block-dominated wilds of Zetland. 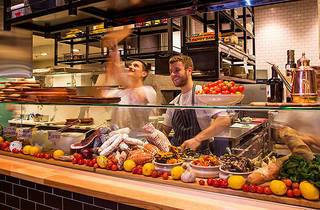 He's gotten bigger, if not exactly better, but in this neck of the woods – far from Stanley Street and lacking in thoughtful competition – it's set to draw the crowds, whether ready for a sit-down meal or some Friday night takeaway. 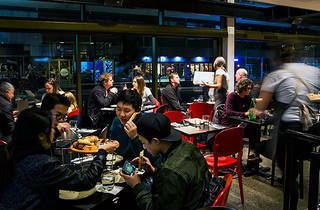 The service is friendly if a bit annoyingly, um, traditional – twice, our waiter seems visibly confused by the fact the woman at the table is footing the bill. (Crazy... we get to touch money now!). 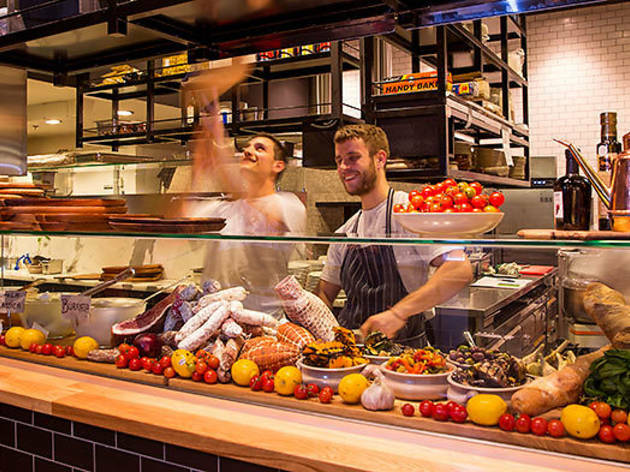 We'll chalk it up to puffed-up, old-school Italian chivalry this time. Next time, though, we're hoping for less Bunga Bunga room and more bang for our buck.